Behind-the-scenes. 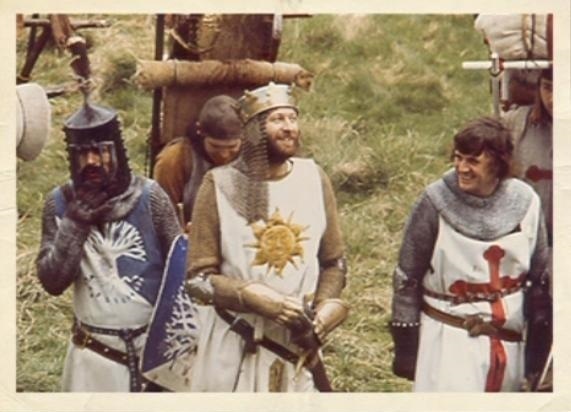 Behind the scenes of The Holy Grail.. Wallpaper and background images in the Monty Python club tagged: monty python graham chapman michael palin eric idle terry jones the holy grail behind the scenes. This Monty Python photo contains surcoat. There might also be breastplate, aegis, egis, brigandine, and tabard.